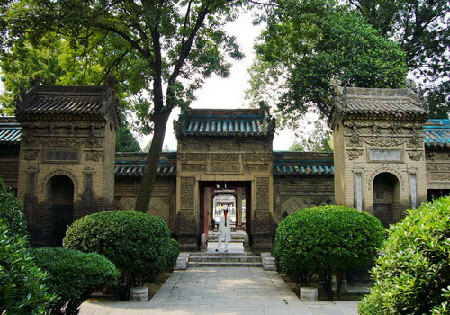 The Great Mosque in Xi'an is one of the oldest, largest and best-preserved Islamic mosques in China and its location is northwest of the Drum Tower (Gu Lou) on Huajue Lane. According to historical records engraved on a stone tablet inside, this mosque was built in 742 during the Tang Dynasty (618-907). This was a result of Islam being introduced into Northwest China by Arab merchants and travelers from Persia and Afghanistan during the mid-7th century when some of them settled down in China and married women of Han Nationality. Their descendants became Muslim of today. The Muslim played an important role in the unifications of China during the Yuan and Ming Dynasties. Hence, other mosques were also built to honor them. Covering an area of 6,000 square meters, the whole complex can be divided into four courtyards. In the first courtyard, there is a wooden arch. The arch is nine meters high, with glaze-covered tiles, and can be traced back to the seventeenth century. Three chambers stand either side of the arch, in which is now displayed some furniture preserved from the Ming and Qing dynasties. In the center of the second yard stands a stone arch with two steles on both sides. 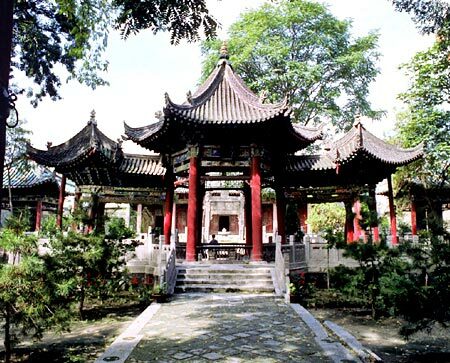 On the steles are famous calligraphic writings from prominent ancient calligraphers. 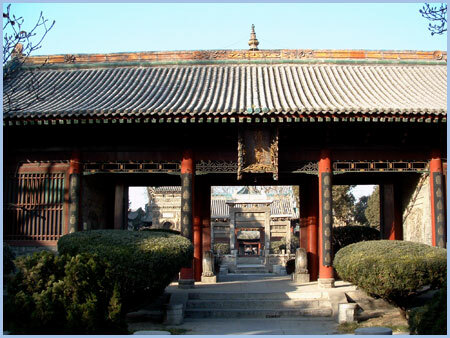 The fourth courtyard contains a big prayer hall which can accommodate over a thousand people. It is the only mosque in the country that is open to visitors. However, non-Muslim visitors are not allowed to enter the main prayer hall. The Great Mosque was added to the UNESCO Islamic Heritage List in 1985. How to get there: You can take Bus No. 4, 7, 15, 32, 43, 45, 201, 205, 206, 215, 218, 221, 222, 251, 300, 604, 611, 612, K630 TO Gulou Station to the mosque.